Undeniably one of Shawnna’s most memorable songs Sasha Go Hard’s version won’t easily be forgotten either. Though only 12 when the original “Gettin’ Some” made waves, 25 year old Sasha Go Hard certainly put her lyrical dexterity and versify on display, using several flows over the three minute track. The remix is hosted by DJ VDub and God Henry receives credit for the cover art. Sasha Go Hard released her most recent effort Nutty World 3. The lastest installment to the saga that started in 2013, made its debut on Halloween. 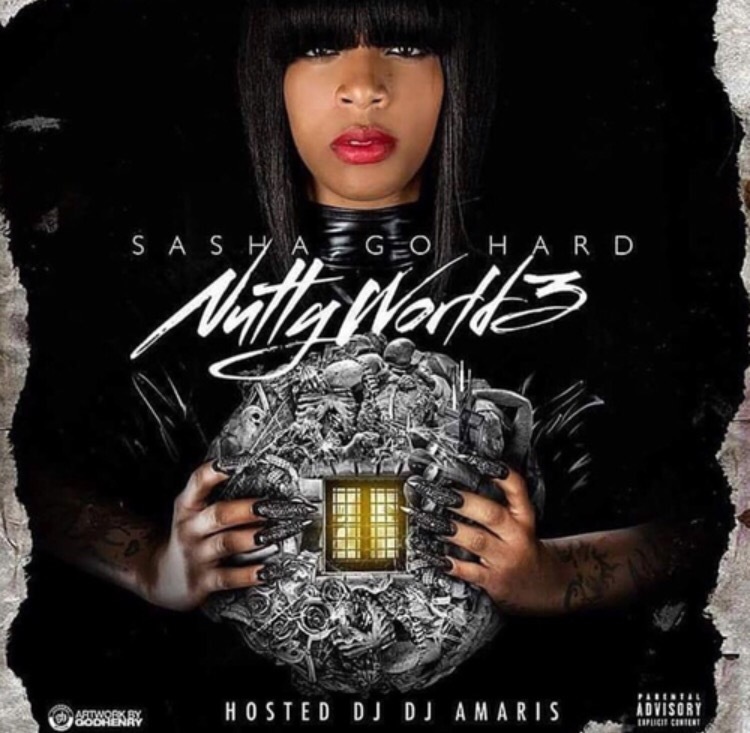 Hosted by another Windy City resident, DJ Armani’s, Nutty World 3 reestablishes Sasha as a staple in Chicago’s ever popular Drill music. Following in J.Cole’s footsteps, the 24-year old is the only artist who contributed vocals to the mixtape. She also recruited some lesser known producers for the 10 track project, ensuring the success of this project rides solely on her lyricism and name.